TheVelvetDolls Warehouse Sale on 4 Nov! Missed our online sale? Fret not! Come this Sunday, we are having our very first OFFLINE WAREHOUSE SALE, with items going on sale for as low as $5!!! 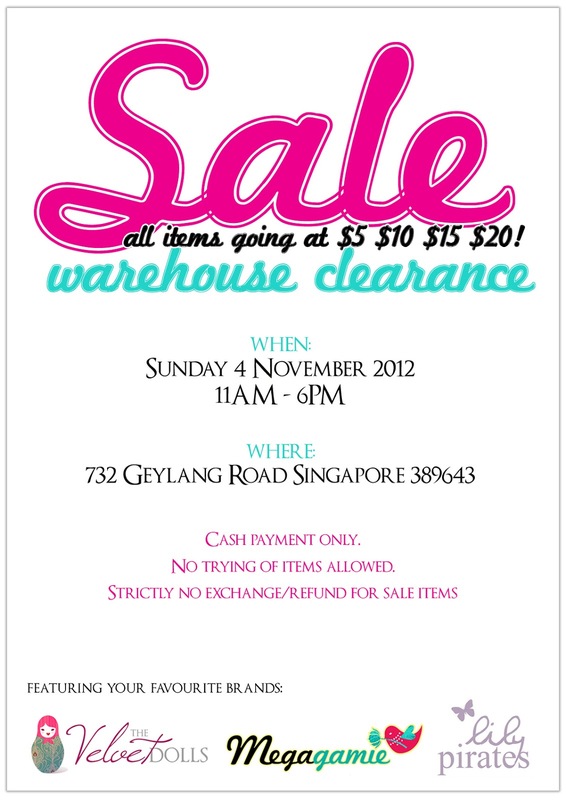 Come and join us this Sunday, together with Megagamie and LilyPirates at our combined warehouse sale from 11AM-6PM! Directions via MRT: Alight at Paya Lebar MRT and exit at Circle Line Exit D. Walk out, and turn right until you reach a junction. Cross the junction and turn right! We will be just a few steps away! Here’re some guidelines so everyone can have a splendid shopping experience on Sunday! Doors open at 11am and shoppers will be admitted to the sale area in batches. You will have half an hour to shop the sale before being ushered out for payment. The warehouse sale is a stand-alone event and we will not be able to entertain any issues related to online transactions. Due to constraints, we regret that no self collections for online transactions will be allowed at the sale as well. If you haven’t seen the EDM blast or TVD Facebook page yet, we are having a maaaassive warehouse sale on Sunday, together with Megagamie and Lilypirates!!! and that is also partially what I’ve been busy with… preparing for the sale!!! URPS. Super super superly messy office crammed with stocks!!! And we are clearing a huge amount of them on Sunday, for as low as $5.. DAMN LOW PRICES!!! So excited for Sunday! 😀 😀 😀 It’s our first offline warehouse sale… and I pray that everything goes smoothly and that it will be a huge success!! Can’t wait to meet all the lovely customers and I hope everyone leaves our sale happy! Gonna go back to tagging stocks now.. 😛 And will be back to update soonish once I’m free! 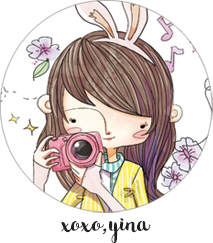 Previous Post Salon Vim: Hair Coloring + Treatment! Next Post The LilyVelvetGamie Warehouse Sale!